Made by King, Henry in Australia, Oceania, c. 1880-1900. 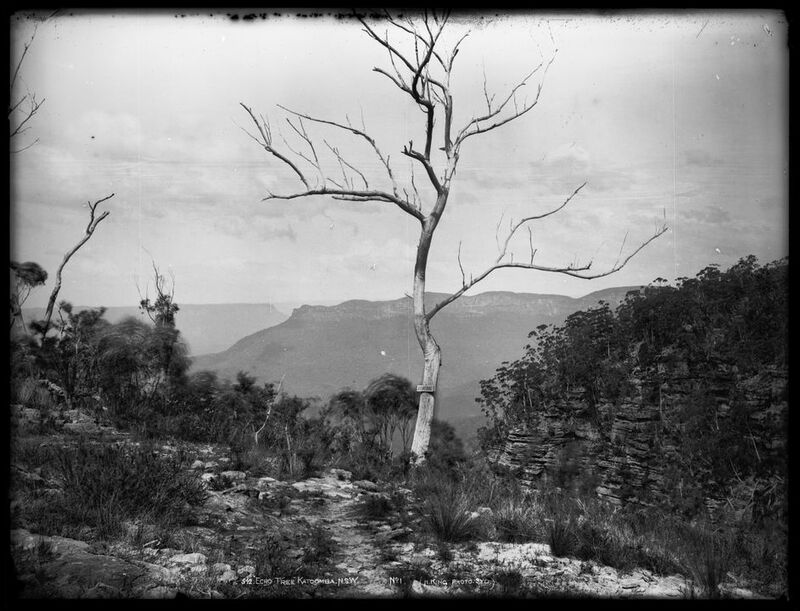 Glass negative, full plate, 'Echo Tree, Katoomba, N.S.W., No. 1', Henry King, Sydney, Australia, c. 1880-1900. Henry King became sole proprietor of a photographic studio in George Street in 1880. Henry King's studio closed around 1900 and Charles Kerry acquired some of his negatives. This photograph is one of 1334 Henry King photographs which are also part of a larger collection of 7,900 negatives once owned by Sydney bookseller, James Tyrrell. After King's death in 1923 the studio collection of glass negatives was purchased by Tyrrell. In addition to the Henry King images, the Tyrrell Collection at the Powerhouse Museum includes glass plate negatives published by Kerry & Co. Studio and a number of other negatives by unattributed photographers. James Tyrrell used the images by Kerry & Co. and Henry King to produce his own booklets and views of New South Wales but although full of iconic Australian images, the collection does not appear to have been fully utilised by Tyrrell. The photographic collection acquired by Tyrrell was purchased by Australian Consolidated Press and its new owners almost immediately set about producing a limited series of complete sets of contact prints of the collection for libraries and museums in New South Wales. Housed in boxes copies of these were given to the State Library of New South Wales and the Macleay Museum at the University of Sydney.